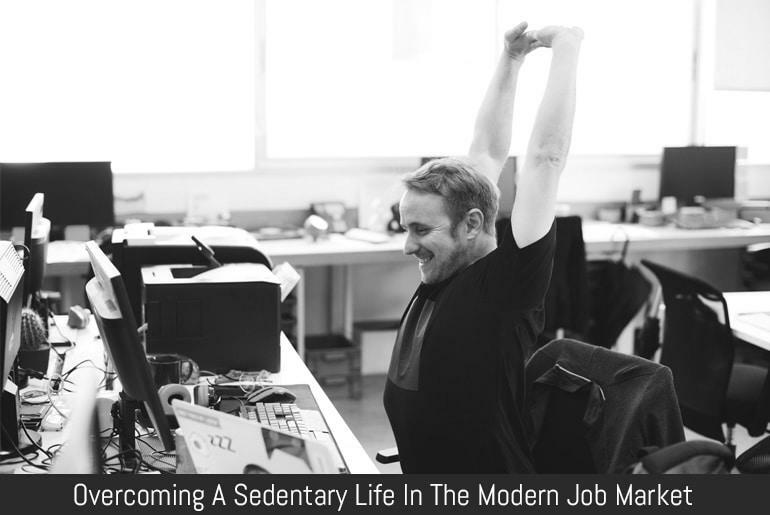 If you work any form of job which requires you interface with a computer, it’s likely you spend most of the day in a sedentary manner. This has quite the risk for your health. Not only does it rob you of your energy and alertness over a short period of time, but it can lead to an increased risk of cancers, diabetes and other heart problems. There’s nothing wrong with working while sitting down, or resting during the day for that matter. However, if you’d like to undo the damage of sitting, become better and more alert regarding your work, as well as generally feeling better from day to day, the following article will help you. Sitting at an office desk can be disheartening in itself. The need for physical activity is not diminished because desks were invented. As humans we are wired for a physical, rugged existence. Our bodies were evolved for millennia with the rationale ‘if I’m not strong enough, fast enough or smart enough, I might not eat or find shelter tonight.’ For this reason, the desk can make us wither away. Taking regular breaks away from your monitor to stretch, walk around the office, head to the water fountain or generally take time away from your computer screen is surely a small dent in the overall problem, but it does really help. You will notice the difference. We recommend that every hour you take a five-minute walk, or every two hours you take a ten-minute walk. Of course, depending on your job this might not be possible, but you should make sure to fit in some activity which gets your heart racing for the best results. Heading to the gym can be difficult to get started with, but trust us, it can revolutionize your entire workday. If you’re able to head to the gym on your lunch breaks, then you can get out a small cardio workout, or even a small weightlifting circuit in that time. If you feel tired in the morning, you’ll be astonished at how this makes you feel. Not only will it completely erase your feelings of lethargy, but you’ll feel more active and alert during the whole day. This is not insignificant. When you feel active and alert, your whole job takes on more of a focused attitude. You might just find that entering stressful meetings, practising your social skills in the office, or being more assertive will all become much easier for you on a daily basis. Another great benefit here is the ability to train towards something outside of your job. When you have a goal outside of the confines of your working life, you are able to shed the stresses of your career in the pursuit of a goal. A legal steroids review or a full new strength program could give you the boost you need to capitalize on your newbie gains. This is often how and when people fall in love with fitness, so make the most of it if you’re able to! Hobbies of course should always conform to what you’re genuinely interested in. Still, if you choose wisely, you could find hobbies that allow you to undo the damage of sitting during the day. Try to go for things that conform to the following two benefits. It’s important to stay active in your general day to day hobbies. You might choose a sport, or if you’re not that way inclined, something that still gets your heart racing. Consider rock climbing, hiking, or even horse riding. Try something that gets you outside and active, as this will connect you more with nature and help you feel more comfortable outside the office. The best hobbies are social. This means you have the opportunity to meet and sustain relationships with people near you. This can do you a world of good on an almost spiritual level. The working relationships and environment of even the best office space is obviously artificial, meaning that your subconscious could be screaming out for some real connection in a harsh environment. Take the example of rock climbing. Coordinating with two new friends and overcoming the harsh challenge together is much more raw and wholesome a friendship than polite small talk in the office. You might just feel your life takes on new meaning if you follow these tips. We’re sure you’ll enjoy your life more conclusively.